Still not convinced that the BlackBerry Storm 2 is alive and kicking in places outside of RIM's "secure" labs up in Waterloo? How's a seven minute long video showing off this perennially-leaked device for all you skeptics? The blur-free video shows off the updated SurePress screen that only clicks when the unit's actually in use, as well as some size comparisons with the Onyx and Tour. The mystery man behind the camera says that even though his OS is super old -- at least by pre-release firmware standards -- it's much faster than the previous-gen Storm. Also interesting is the fact that WiFi doesn't appear to be present in the "Manage Connections" screen, although we can almost say with 100% certainty that there will be WiFi at launch. The full video's posted after the break, conspiracy theorists: go wild. 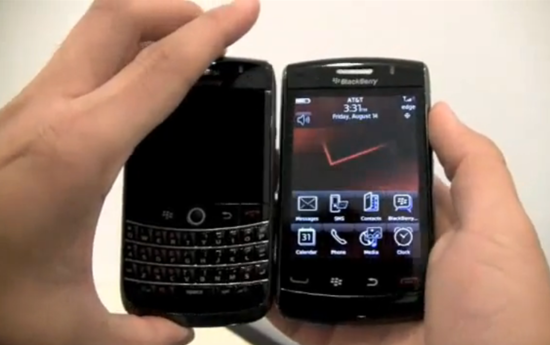 Video: BlackBerry Storm 2 gets yet another prerelease review originally appeared on Engadget Mobile on Sat, 15 Aug 2009 19:04:00 EST. Please see our terms for use of feeds.